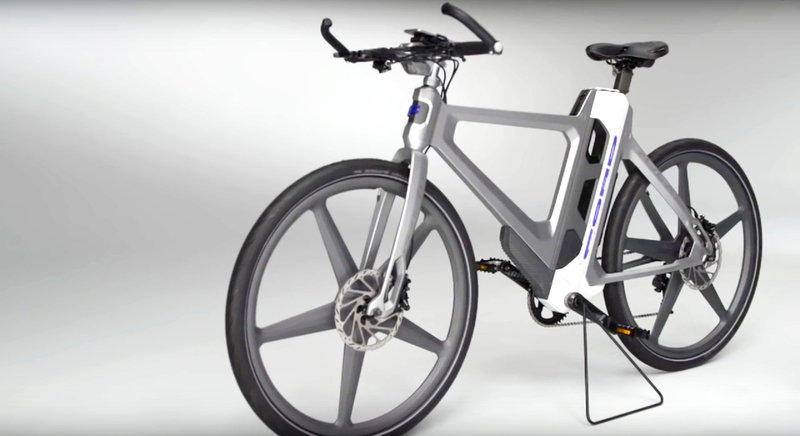 Ford has rolled out a prototype for their third ebike, the MoDe:Flex. This fully electric bicycle needs no bulky bike rack to be transported, because it neatly fits in your trunk and can be charged while you drive. Along with being flexible for any type of riding, the bicycle connects to a smartphone app that can help you plan your trip, avoid traffic, calculate parking costs, and even be prepared for harsh weather. A part of Ford’s Smart Mobility program, the MoDe:Flex ebike was built with convenience in mind. Whether your plans are road, mountain, or city riding, the front and rear assemblies and wheels can be configured for each in a jiffy. The whole unit separates at the front and rear for storage and the battery can also be disconnected for easy charging. If there is no room in your car trunk, the pieces of the bike can be rearranged so you can pull the cycle along like a cart! The MoDe:Link application is designed to be the ultimate navigator, with eyes-free capabilities and the option to sync with a smartwatch. Not only does the app store health and fitness information and help plan your route, but also performs some basic functions for the cycle, such as locking and unlocking, checking the EV charging status, and accessing the vehicle manual. 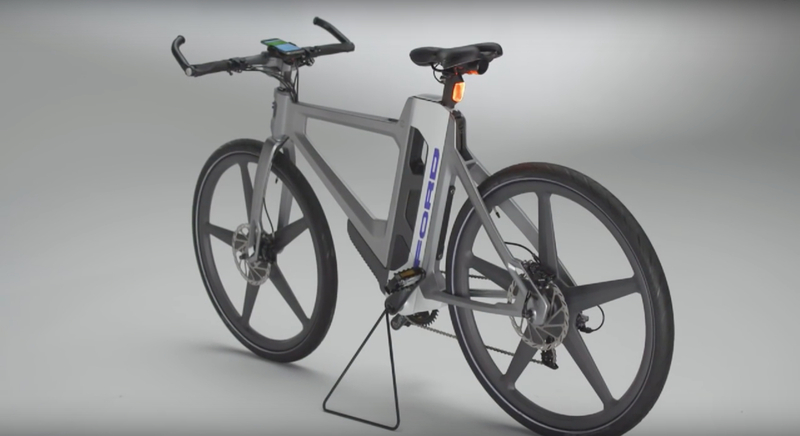 Ford is also looking to release two other prototypes: the MoDe:Pro, which is targeted at couriers and delivery persons, and the MoDe:Me, for urban riders who need a compact bicycle to navigate city streets and public transportation. So long to the days of disconnected riding, as it seems ebikes are the wave of the future. Ford MoDe:Flex ebike prototype folding up and fitting into a trunk.